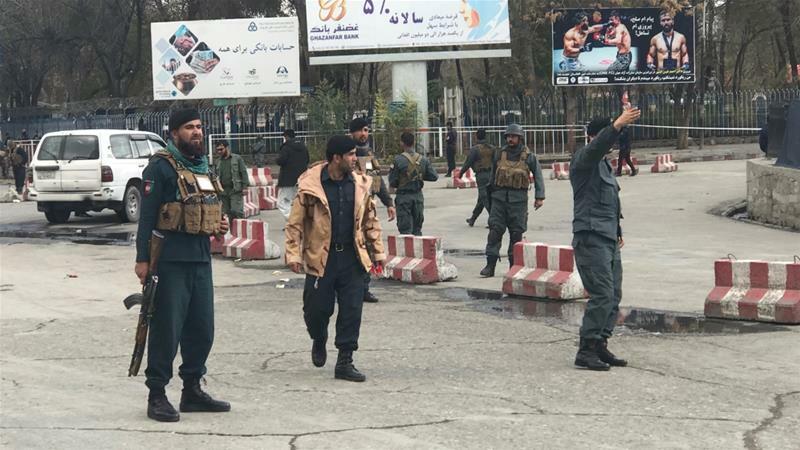 At least three people have been killed and eight wounded after a suicide bomber hit a protest site in the Afghan capital, Kabul, according to local media reports. Tolo News, a Kabul-based news website, reported the blast happened on Monday close to Pashtunistan Square, where hundreds of people had been protesting over insecurity in the country. Videos posted on social media appeared to show bodies lying on the ground moments after the bombing. The explosion came as Taliban fighters killed scores of security forces in the western province of Farah and the eastern province Ghazni overnight on Monday. Earlier, at least 37 local policemen were killed in Farah and 20 members of the Afghan security force were killed in Ghazni’s Jaghuri district on Sunday. The government had control or influence over 65 percent of the population but only 55.5 percent of Afghanistan’s 407 districts, the Special Inspector General for Afghanistan Reconstruction (SIGAR) said in a report.